Victor Mathis Florist has been a family tradition for four generations. 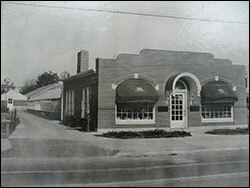 The business was started by Victor Mathis in 1896 after immigrating here from France. The Mathis Family carries on the service and attention to our customers that Victor Mathis started so many years ago. The values of honesty and giving the customer the most for their money is our goal, as it was in 1896. 8:00 a.m. to 3:00 p.m. Saturday. Victor Mathis Florist is best known for providing high quality flowers at a value to our customers. We are also known for the quality of our sympathy designs. If you have any questions or need more information, please contact us by e-mail at mathisflorist@hotmail.com or call us directly at 800-966-9602. We're always here to serve you and make your flower-sending experience a pleasure.